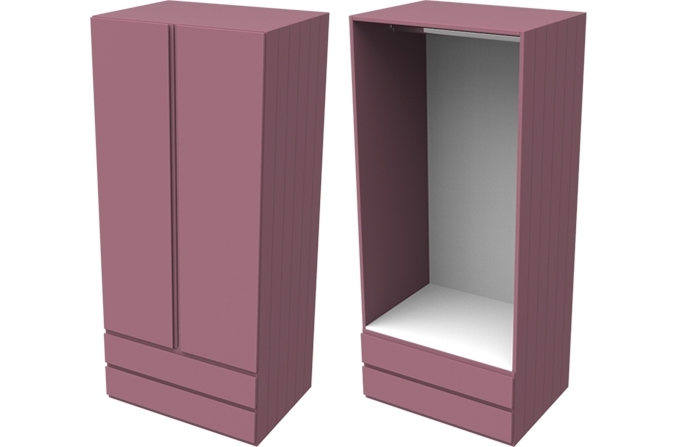 Children's Pink Armada Double Combi Wardrobe - Painted Starlight Pink also available in Arctic White, Elephant Grey and Midnight Blue. Made from moisture resistant board, with tongue and groove detailing and painted to the colour of choice. Handles are hidden for extra durability and 2 drawers are set on metal easy glide runners. 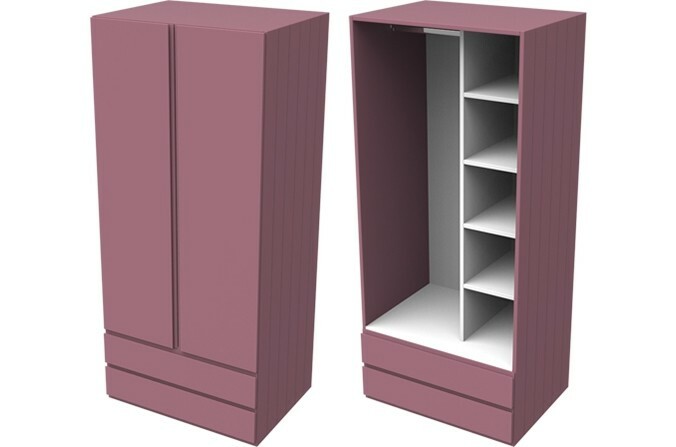 The Armada Double Combi Wardrobe matches all other Armada furniture.